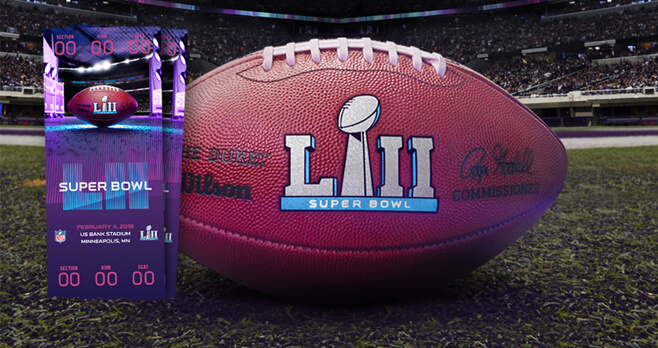 From January 1st to January 14th, McDonald’s is offering football fans the chance to win tickets to Super Bowl LII. Enter the McDonald’s Super Bowl LII Sweepstakes 2018 when you use Mobile Order & Pay in the McDonald’s App for your chance to win your trip to Super Bowl LII. Who Can Enter? The McDonald’s Super Bowl LII Sweepstakes 2018 is open only to individuals who are residents of the Territory and who are thirteen (13) years of age or older on the Day of participation. When To Enter? Sweepstakes begins at 12:00:00 a.m. local time on January 1, 2018, and ends at 11:59:59 p.m. local time on January 14, 2018. What Is The Super Bowl LII Sweepstakes Prize? The Grand Prize consists of a trip for two (2) to Super Bowl LII on Sunday, February 4, 2018 and $1,500 in NFLShop.com gift cards. Who Are The McDonald’s Sweepstakes Winners? For a list of Official Winners, mail a #10 self-addressed, stamped envelope to Redemption Center: Mobile Order & Pay Sweepstakes Winners List Request, P.O. Box 1132, Chicago, IL 60690. All requests must be postmarked by May 26, 2018, and received by May 31, 2018.